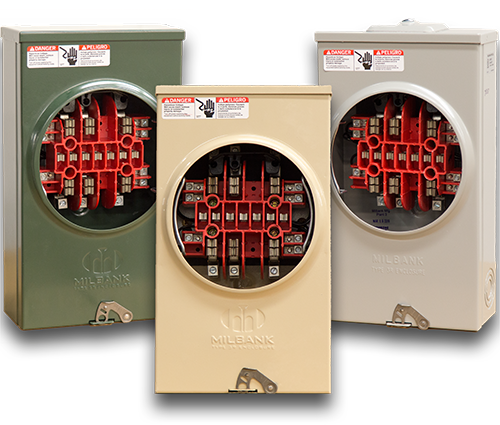 Byram's TMP is the most efficient and economical way to provide metering for single and three phase padmount transformer metering applications.Our out-of-the-box, bundled package ships equipped with all the necessary components required to provide a professional and accurate installation as quickly and easily as possible. Elster - electricity meters are engineered for residential, commercial and industrial, and interchange metering applications. Elster meets the expanding needs of utilities by providing advanced metering products and services worldwide. Itron - is dedicated to delivering end-to-end smart grid and smart distribution solutions to electric, natural gas and water utilities around the globe. Landis + Gyr- has been the standard for quality and innovation for meter mounting equipment for over half a century. Electro Industries - specializes in power meters and smart grid solutions that excel at revenue grade energy measurement, power quality and advanced telemetry. Users worldwide depend on EIG power meters to monitor power information within substations, industrial facilities and commercial buildings. Aclara's GE - family of meters goes beyond meeting your complex business challenges. The advanced, powerful and easy-to-use meters give you an extra edge in the energy business. Schneider Electric - offers a full portfolio of metering and monitoring products and solutions, scaleable from simple metering and analysis to remote, online enterprise wide power management solution.